We’ve found great deals at 1118 hotels! 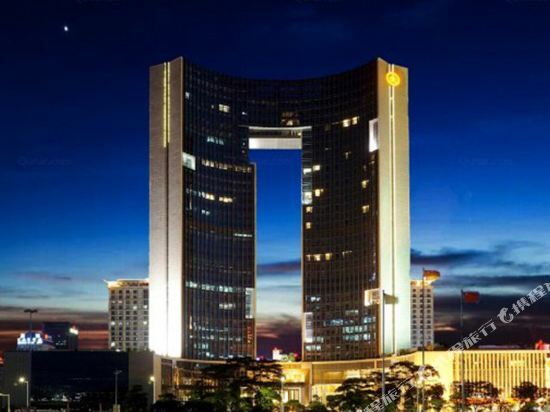 The Sofitel Royal Lagoon Hotel (Dongguan Suofeite Yujingwan Jiudian) is set in Huying park, close to a golf club. This Dongguan hotel comprises 268 spacious rooms and deluxe suites with private balconies. All rooms are tastefully furnished with modern amenities and offer panoramic views of the park and the lake. In the front of the hotel is the 2600 square meter outdoor swimming pool. After a dip in the pool, guests can enjoy refreshing fruit juice in the bar. The fashion show and poolside barbecue are also a good option. Diners can check out the lobby lounge for decent tea, cocktail wine, Chinese and western refreshments, dim sum and pastries to the tunes of piano performance. Local dishes and western style breakfasts, baked bread are on offer in the Chinese and Western restaurants. Chefs in Brazilian restaurant cooks up juicy beef, Brazilian style sausage, mutton and many more. Business facilities include a convention center, a banquet hall and several small conference rooms. The Grand Noble Hotel (Dongguan Haomen Dafandian) is located at the center of Humen, a town situated in the southwest corner of Dongguan. Hong Kong and Macau are easily accessible by direct bus. 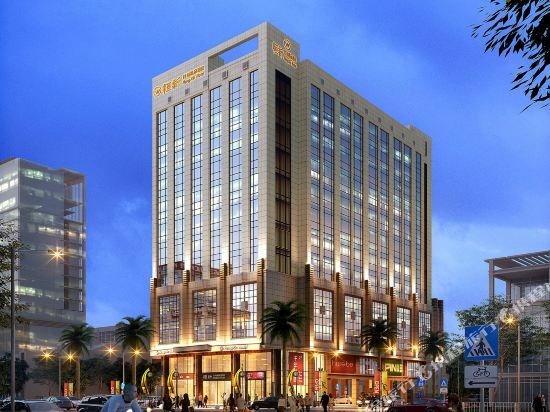 Featuring distinct baroque classical architecture style, this Dongguan hotel offers 248 rooms equipped with satellite TV, mini bar, in-room safes and free high-speed internet access. From each room, guests can feast upon Humen. For recreation, guests can access an indoor swimming pool, a fitness room, a table tennis room, KTV and sauna rooms for free. The Noble Cantonese restaurant serves various Cantonese cuisine with seafood as its specialty. Guest can select from an extensive menu of Tex-Mex food in the Kansas City Bar and Grill where live bands perform at night. Japanese teppanyaki and dishes are also offer. The Gordon'r Lounge is a cozy elegant place which offers great views, Cuban cigars as well as fine champagne and wine. The multifunctional hall seats 800 guests. Affiliated with Accor France, the Sofitel Dongguan Golf Resort (Suofeite Dongguan Fengjing Gaoerfu Jiudian) offers easy access to a world-class golf course and a scenic park. The hotel perfectly combines the functions of business and leisure. The hotel provides a variety of accommodation options including lakeview rooms, superior suites and villas. Recreational facilities include a business center, gym, outdoor swimming pool and water therapy. 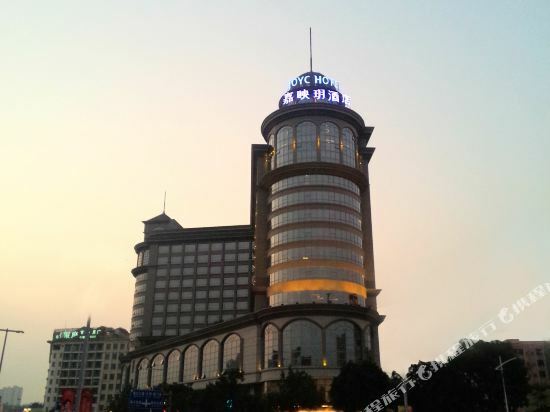 The Haiyatt Garden Hotel (Dongguan Chang'an Haiyue Huayuan Jiudian) is located opposite Chang'an Town Customs. 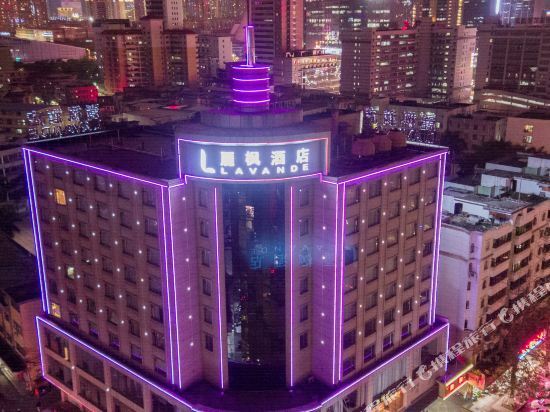 This good value Dongguan hotel provides a variety of rooms from standard through to deluxe suites, all of which are decorated in a combination of classic and European styles. The Italian restaurant features an open kitchen offering Italian and Western dishes and a Japanese restaurant is also available. The Chinese restaurant specializes in Cantonese cuisine and seafood. The Manhattan Bar mixes decent cocktails and is also a good place to play a bit of snooker and darts. During the Canton Fair the hotel offers direct transfers to the exhibition center in Guangzhou. The on-site restaurant serves both Chinese and Western cuisines. For those with business or social events to conduct, the hotel offers various-sized conference halls and meeting rooms of a professional standard. In terms of relaxation, guests can dip into the pool, work out in the gym, enjoy massage or relax in karaoke rooms. The Goodview Hotel Tangxia (Dongguan Tangxia Sanzheng Banshan Jiudian) is a luxurious 5 star hotel located in Tangxia, Dongguan city, Guangdong province, with more than 500 well-appointed rooms that include suites and villas offer a wonderfully diverse selection of room types for the discerning travelers. It is only 30 minutes drive from the hotel to downtown Shenzhen and Shenzhen airport. With a serene lakeside location, surrounded by lush green mountains and enormous pool area, the hotel is ideal for a 'Getaway within a City' for business and leisure travelers and has already been recognized as an industry leader in prestigious publications worldwide such as First China Hotel Golden Star Award, Top 10 Glamorous Hotels of China, Boutique Hotel with Optimum Design in China, Top 10 Innovative Hotels in Asia, Most Characteristic Hotel in Asian Hotel Industry, Best Resort Hotel in the World, and many more. Dongguan is located in the central and southern part of Guangdong Province and the northeastern part of the Pearl River Delta. The city is home to a large number of residents from Hong Kong, Macau, and Taiwan, as well as many Chinese people from overseas. There are also ancient battlefields from when the region was at war with England, such as the Shajiao and Weiyuan Fortresses, as well as patriotic education bases such as the Opium War Museum and the Naval War Museum. There are also many cultural buildings and parks, including the Jin'aozhou and Liuhua Towers, one of Guangdong's four famous gardens, Keyuan Garden, the Huangqi Ancient Temple, as well as Xian’e Lake, Shipai Yanling, Green World, and Qingxi Shanshui Tiandi Forest Park and more. September and October are the best months to visit Dongguan. The annual average temperature in Dongguan is 22.1°C. Winter is warm and has adequate sunshine and few cold days. There is more rainfall in the spring and summer and sunny weather in the autumn, making all three ideal seasons for travel. Heavy rains and typhoons affect the city’s climate from June to October each year. At this time, visitors to Dongguan should pay attention to the heavy rain and typhoon warnings. Hongmei lanterns have a long history, and they are one of the most popular folk arts and crafts in the city. The Lantern Festival held each year in Hongmei, and in addition to the display of a variety of different styles of lanterns, there are also Cantonese opera and other exciting programs. The way in which locals in Dongguan celebrate the Lantern Festival is quite unique. The festival takes place during the Lunar New Year in Dongguan’s Hongmei Town. 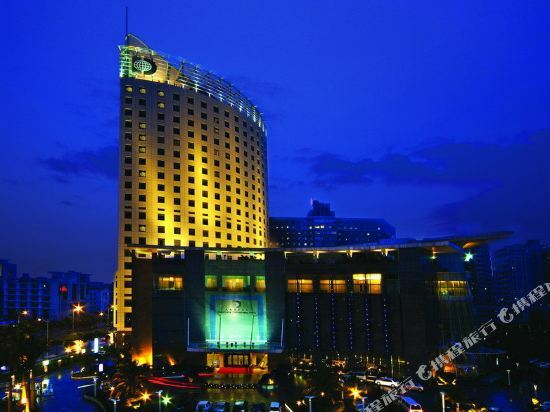 The hotel industry in Dongguan is very developed. The city is full of hotels and inns that are both large and small. Tourists prefer to choose hotels in Dongguan that are more prosperous in downtown or hotels in an attraction-concentrated area. Since there is no airport in Dongguan, tourists in need can choose to stay in areas close to Guangzhou-Shenzhen Expressway. Dongguan hotel information & deal: Check out room rates, photos, a map and reviews of hotels in Dongguan and find the best deals on Dongguan hotels. 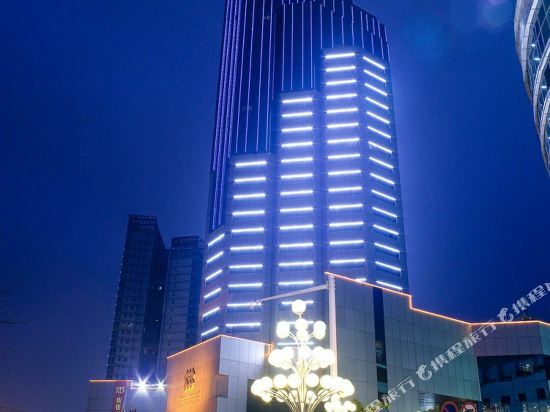 Trip.com offers big savings on online reservations for Dongguan accommodation. Book Dongguan vacation packages and Dongguan tours with huge discounts on Trip.com!